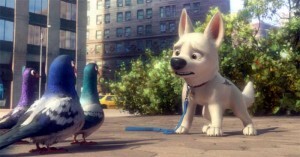 Bolt‘s 3D debut is a 4-Disc Blu-ray 3D/Blu-ray/DVD/Digital Copy combo pack. The 2009 animated movie, featuring the voices of John Travolta (From Paris With Love), Miley Cyrus (The Last Song) and Chloe Moretz (Let Me In), tells the story of a TV star dog who thinks he has super powers until he gets lost and finds out friends go a long way. Bolt Blu-ray 3D contains a number of special features, all of which have appeared on previous releases of the film.